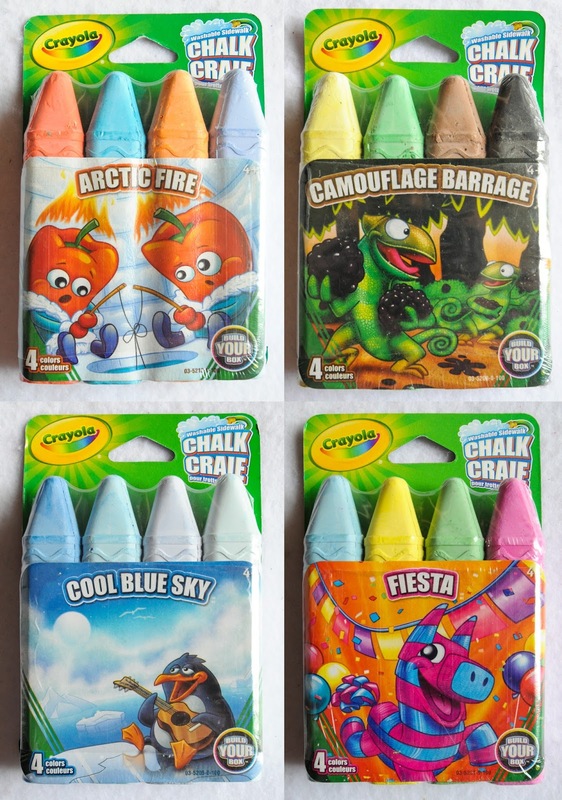 I feel in love with the Crayola Build Your Box chalk when I first saw it at Walmart. 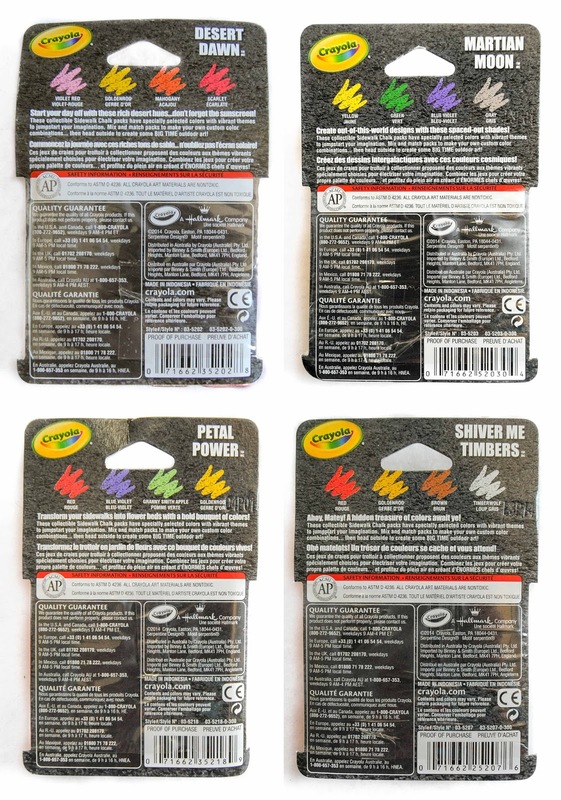 It is very similar to the Pick Your Pack Boxes crayon boxes sold at Target. Each box features a fun theme with colors coordinating with that theme. 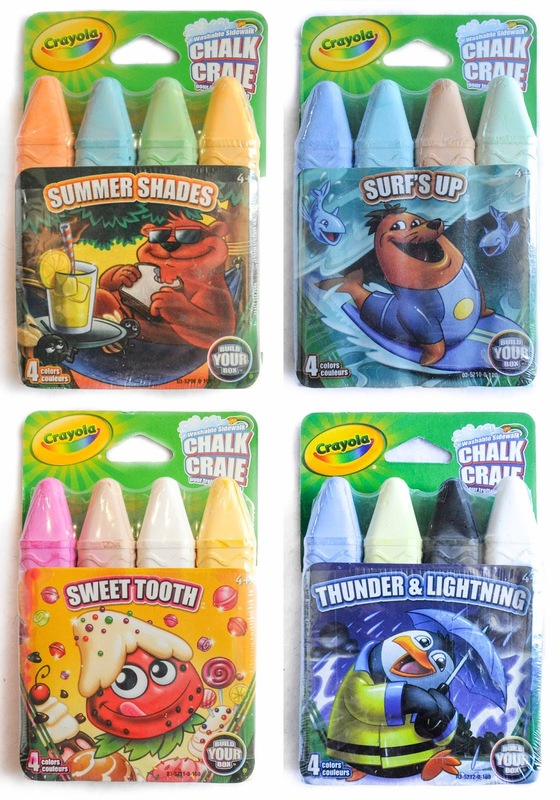 On the back of the boxes it says, "These collectible Sidewalk Chalk packs have specially selected colors with vibrant themes to jumpstart your imagination. 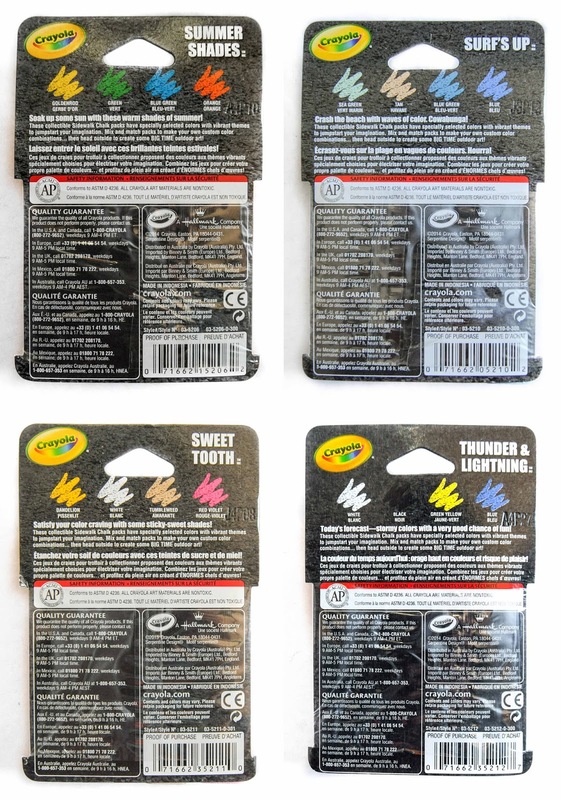 Mix and match packs to make your own custom color combinations...then head outside to create some BIG TIME outdoor art!" 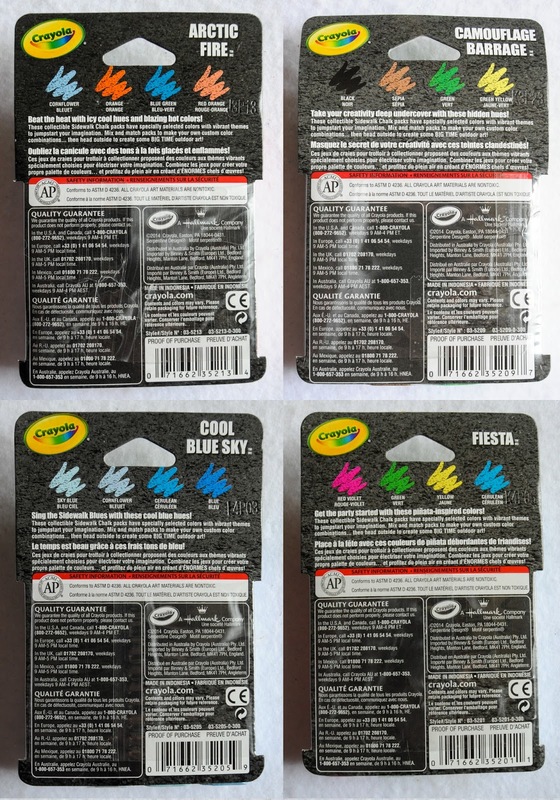 I think Crayola intended for collectors to want to collect this item because of what they said on the back, "collectible". I do not know of many people who have collected it and barely decided to myself. I did not buy this chalk at first because of the high price point, and I did not have a lot of chalk collected. 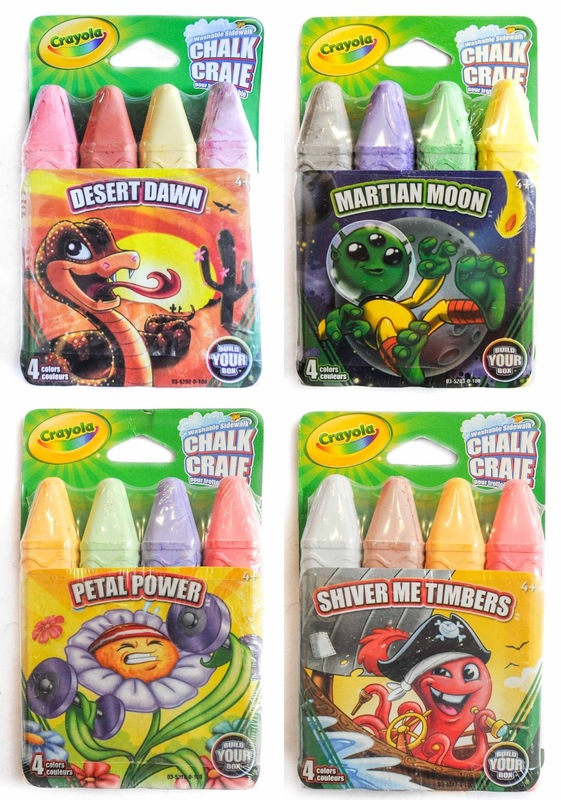 I later saw it at the Crayola Store in Kansas City and then at JoAnn Fabrics and Michaels. I bought it when there was a sale making it about $.75 instead of $1.50. It is kind of hard to store chalk since it is so wide. I keep it in a smaller storage box that is about the width of the box.